Items purchased will be delivered to the students Homeroom Teacher. Please remember to enter Student Name and Homeroom Teacher during checkout. 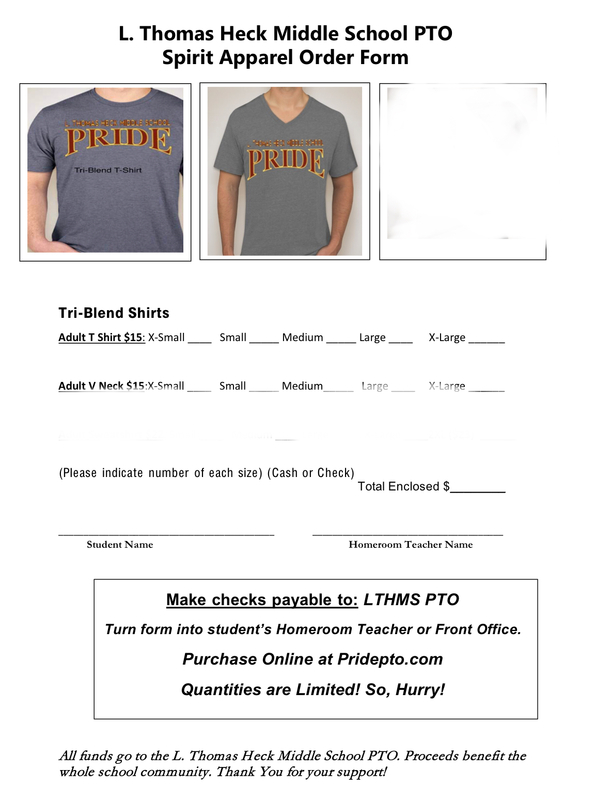 Or print the below order form and turn into the Front Office with payment. L. Thomas Heck and new posts by email. Check back soon for 2018-2019 dates! Please join us to discuss upcoming events and engage with school administration.